For 2016, Curbed Atlanta’s long-running Visual Journeys series will take occasional detours called “Key Corridors” — photo-driven updates of the city’s most swiftly developing streets. After dropping by the Berkshire Howell Millapartments and surrounding mixed-use venture last week, we continue the Howell Mill tour due west of Midtown today at the impressive, adaptive-reuse amalgam known as Westside Ironworks. Developers call this project a “complete renovation of the iconic Ironworks complex,” where a foundry used to operate in two industrial buildings. They’re still putting the finishing touches on this $8-million+ redo, which will offer seven retail spaces and a freestanding Barcelona wine bar, but what is finished is clearly an improvement from aesthetic and social standpoints. 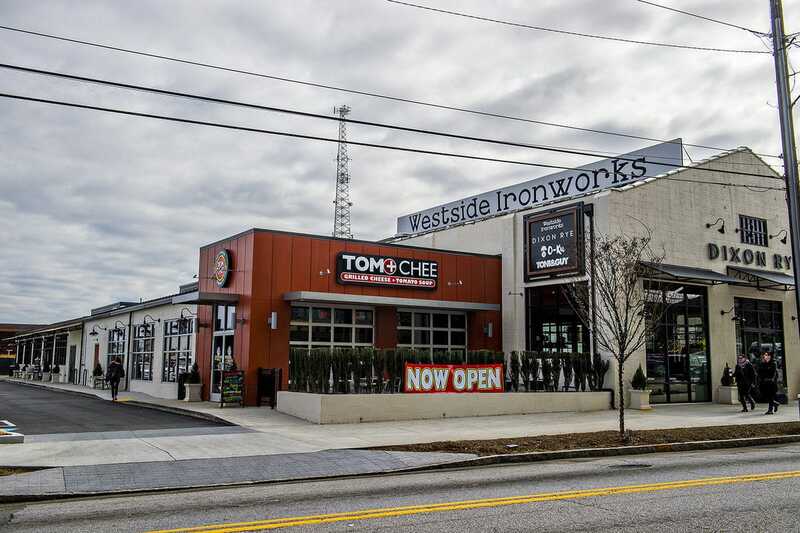 Westside Ironworks on Howell Mill Road is almost at capacity in terms of tenants. Barcelona, O-Ku, Tom + Chee, Dixon Rye and Villa Savannah are just some of the property’s initial retail and restaurant offerings.